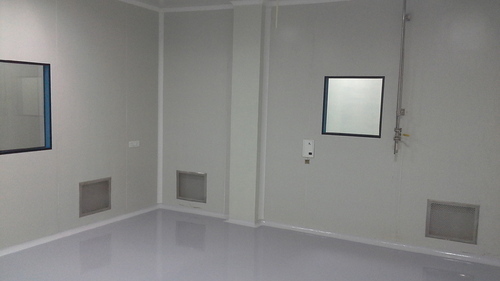 Our firm involved in manufacturing, exporting and trading qualitative range of Clean Room Products. Offered products are acclaimed for fine finish, longer service life, less maintenance, rigid construction and high tensile strength. Being customer-centric firm, we are engaged in manufacturing, trading and exporting products such as Clean Room Products. The range offered by us consists of Modular Clean Room Systems, Fume Hoods, Air Handling Units, Laminar Air Flow, Clean Room Doors, Air Showers, Sampling and Dispensing Booth and many more. These products are known in the market for features such as low maintenance, high strength and quality assured.